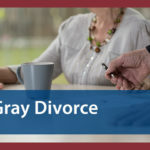 Home » Blog » High Asset Divorces: What do you have to lose? High Asset Divorces: What do you have to lose? Take a page out of a Columbus divorce attorney’s book to ensure your assets are secure. 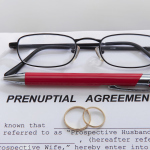 Naivety is the worst enemy of any person entering into a divorce – particularly one that is sudden and unplanned. Judges generally don’t care whether your spouse was unfaithful or whether he or she mistreated or neglected you. What matters is that two people, who previously were considered a singular married unit in the eyes of the law, are now splitting apart. The question then becomes: How do you come out on the other side financially secure? In high-asset divorce cases, you and your spouse likely have a lot to gain – and a lot to lose. It can be a daunting task to try to divide assets between two spouses, especially if there are houses, rental properties, pensions, stock options, etc. involved. 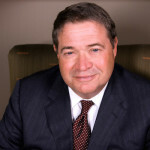 Writing for Forbes, Certified Divorce Financial Analyst Jeff Landers advises divorcing spouses against dividing assets based on dollar value alone. “You need to understand which assets will be best for your short- and long-term financial security,” he explains. “This is not always easy to discern without a thorough understanding of the asset itself – its liquidity, cost basis and any tax implications associated with its sale.” For this, it might be necessary to seek professional help. Volunteering to leave the house. Avoid this temptation, as it will result in additional costs. (You will need to find a new place to live while also paying for the house.) It may also have serious, long-term implications on custody arrangements with the children. You should not volunteer to vacate your home without first discussing it with your lawyer. Misusing social media. Saying anything about your spouse or the divorce can and will be used against you in a courtroom, and can even be grounds for a restraining order. Be smart. Hiding money. This also includes reporting higher-than-true expenses and lower-than-true income. Once it’s uncovered, you’ll be in a heap of trouble. Don’t do it. Seeking revenge. You may have been wronged by your spouse, but as difficult as it is to push personal feelings aside, you will regret letting your emotions get the best of you. In the long run, it is vital that you think logically and keep your eyes on the prize. Fighting over everything. Pick your battles, and keep in mind that the more prolonged and vicious the divorce, the more costly to both people involved. Flaunting a new lover. This also includes flaunting a new large purchase, such as a sports car or exotic vacation. Not only will this make the court unsympathetic to you, it may launch your spouse into a costly fury. It may be necessary that you freeze any joint credit card accounts to prevent your spouse from running up any debts. Ensure that your important financial documents are safely stored somewhere your spouse cannot access them, that your communications are private (get a P.O. box for all mail) and change all passwords for computers, mobile devices and social media and email accounts. If your health insurance has been carried under your spouse’s plan, you can apply—within 60 days of a legal separation or divorce—for COBRA benefits to maintain your coverage under the same plan. These benefits can last for up to three years, but unlike family health insurance, the premium is not subsidized by the former employer. When pensions or 401(k)s are to be divided, it must be done by a Qualified Domestic Relations Order (QDRO), otherwise the deductibility of the entire retirement plan of the employer could be jeopardized. IRAs can be divided by an IRA-to-IRA transfer and need not involve a QDRO. Lastly, and perhaps most importantly, do not try to wind down a high income, high asset case without the assistance of a family relations lawyer with ample experience handling these types of cases. You have one shot at an equitable result. While a general practitioner may charge you less on an hourly basis, like most significant purchases in life, you get what you pay for. At Babbitt & Dahlberg, we are confident that we can provide the right attorney for your unique situation. Have more questions? Feel free to contact us today. Protecting what’s yours in a high-asset divorce.